In December 2012, President Vladimir Putin signed a law prohibiting Americans from adopting Russian children. The ban was revenge for the Magnitsky Act, which outlaws mostly Russian human rights offenders from entering the United States. It was a puzzling and sadistic move: retaliating against the U.S. Congress by punishing Russia’s own orphans. Even before the ban, Russia was facing a crisis. In 2011, Pavel Astakhov, the Russian president’s children’s rights commissioner, released a report that counted more than 700,000 orphans in the Russian Federation’s population of 143 million. Astakhov noted that this is “slightly more than in the Soviet Union at the end of World War II”—when the country lost 27 million people. Today, there is no war to blame. The majority of Russia’s orphans are born to parents with substance-abuse problems, and many suffer from fetal alcohol syndrome, which can cause delayed development and intense hyperactivity. Their parents are either incapable of caring for them or do not want disabled children. Most Russians, for financial and cultural reasons, are largely unwilling to adopt. The Russian government has argued that it was protecting children from abuse and death in America, following several high-profile cases that included a child who died in a hot car and another who was put on a plane and sent back to Russia. Others worried that, abroad, these children would lose their connection to their culture. In thinking about how to document the effects of the ban, we decided not to focus on Russian orphanages—their quiet, shabby tragedies have been well trod by photographers. Instead, we wanted to meet children who have been adopted by American families—to capture the kinds of lives that might have been possible for tens of thousands of orphans had the Russian government not closed the door. Raedella and Nevin Wenger, a Mennonite couple, couldn’t have children, so they decided to adopt from Russia; their church took up a collection to help cover the trip to Moscow. 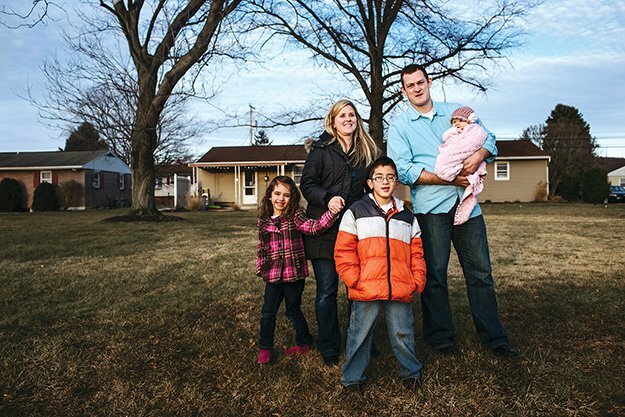 In 2005, they adopted two-year-old Ryland, who was abandoned at birth. Three years later, they adopted Roderick, who has fetal alcohol syndrome. 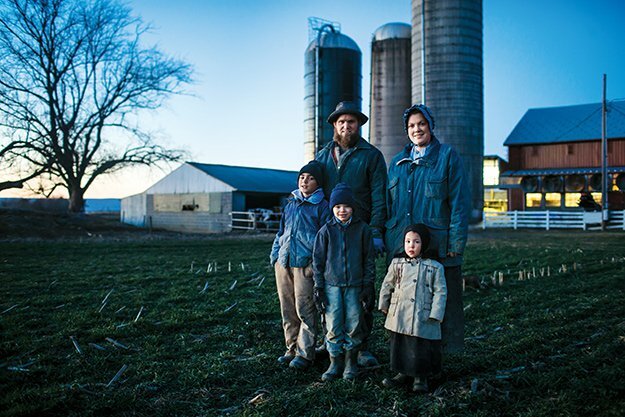 The boys, now eight and ten, and their sister, adopted in Idaho, work on the family’s dairy farm, which sells milk to Land O’Lakes. In 1999, Carol Cormany and her husband, Kim, of Sykesville, Maryland, went to Irkutsk and adopted two teenage sisters and a baby they named Dan. Over the next few years, they brought home three more Russian children. Krista and Bryan Hubbard, unable to have children of their own, decided to adopt in Russia, like their friends, the Troncales. Isaac, an ethnic Uzbek born in Podolsk, was 14 months old when the Hubbards brought him home in 2006. He was unable to hold his head up and his eyes were “jiggly,” recalls Krista, an elementary school teacher. 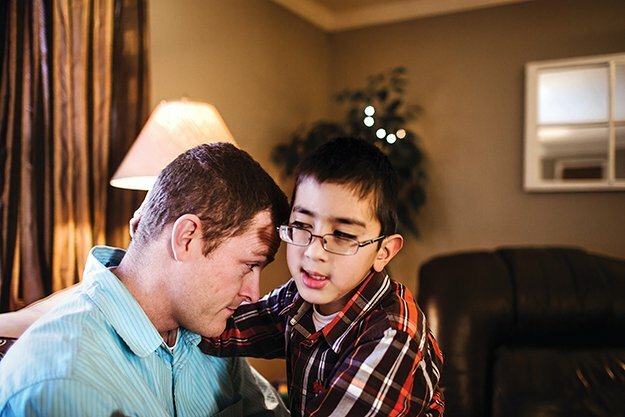 It turned out that Isaac had been born severely premature and suffered ischemic brain damage. At three, he was still not talking. 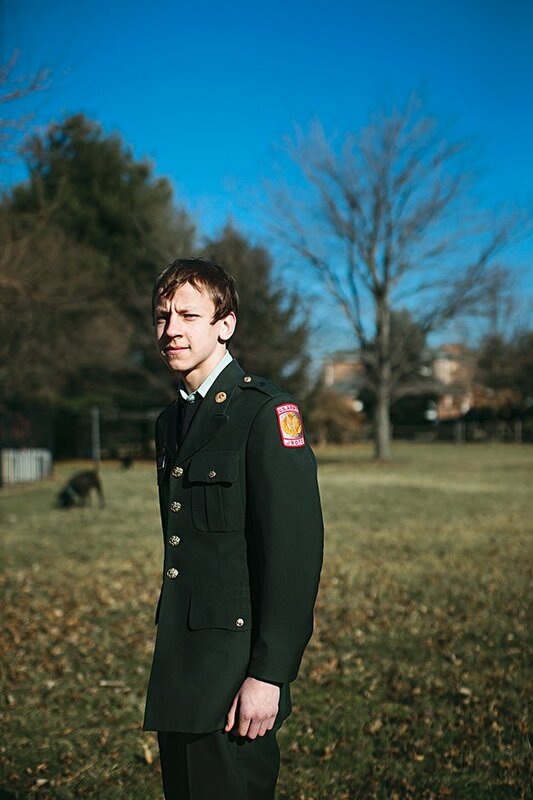 Isaac was eventually diagnosed with an autism-spectrum disorder. He had to have several surgeries to loosen the muscles in his eyes and now regularly sees a pediatric neuro-ophthalmologist. Talkative and intensely friendly, Isaac barely left his dad’s side, hugging him and asking him to play “big bear, little bear.” He just finished the second grade, where he had a therapeutic support staff to help him focus. 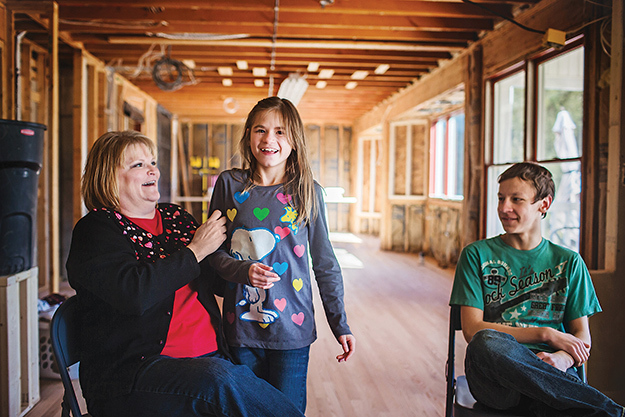 The care is especially impressive for the family’s modest means. (They have another child, whom they adopted domestically, and one unexpected biological child.) Few of these services, if any, would have been provided to Isaac had he stayed in that orphanage in Podolsk. 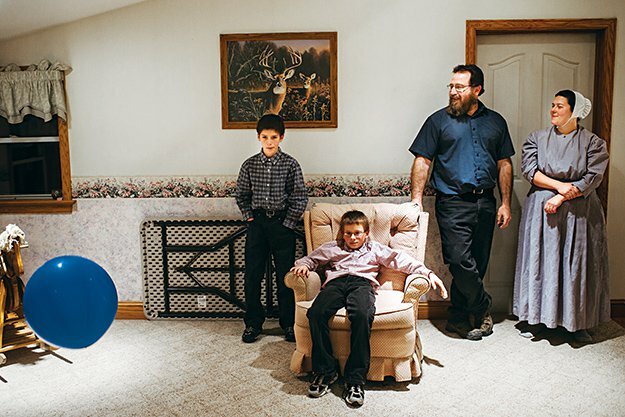 The Troncales, of Lancaster, Pennsylvania, had four biological children when they decided to adopt in 1999. One of their daughters went on a missionary trip to Russia and became attached to a little girl named Anya at an orphanage. Her older sister, Masha, was living in a nearby orphanage for deaf children, even though she could hear. The girls suffer from physiological problems relatedto their parents’ alcoholism; they were taken to an orphanage after a neighbor found eight-year-old Masha digging through the garbage. (A Russian official told the Troncales they could get a “discount” on Masha because she had “a small head.”) After a rough adjustment, the girls now seem to be a core part of the family. Every Sunday, there’s church, followed by a big dinner with the girls’ siblings and their kids (four of whom are also adopted). Masha is now married, and she proudly showed us the photos from her very American wedding, with Anya and her adopted sisters serving as her bridesmaids. Anya is finishing up a nursing degree and is still living at home, where she has the most typically messy American bedroom. After Anita Wampler had six miscarriages, she and her husband, Wilbur, found two toddlers in a relatively well-appointed Moscow orphanage and named them Darlton and Jurrell. Both have fetal alcohol syndrome. Darlton is sullen and has several learning disabilities; Jurrell is very social and charismatic, but has the extreme hyperactivity associated with the condition. The boys took Max, the photographer, down into the basement—one of their two playrooms—where they showed him how to ride a RipStik. Anita home-schools the children and the couple has taken the boys to counselors to work with them on their learning disabilities. Eager to bond with his sons, Wilbur, who works in construction, bought a Rosetta Stone set to learn Russian with the boys, who have, of course, forgotten it. Julia Ioffe is a senior editor for The New Republic. Max Avdeev is a photographer currently based in Moscow, Russia.